While other Australian regions may have caught up to Coonawarra in the red wine stakes, the commitment of this region’s passionate locals will see it shine well into the future. Coonawarra is an enigma wrapped in a red dirt riddle. We all think we know Coonawarra because it seems like it’s always been there. When you set out on the journey to discover Australian wine, Coonawarra Cabernet Sauvignon is one of the first checkpoints you reach, a foundation stone for building an understanding of what this country can do with its vineyards. But does familiarity breed contempt? And where do the classics sit when the market seems obsessed with the cool cutting edge? Is it enough to continually do a few things well when the consumer has the all the loyalty of a stray cat and the attention span of a goldfish? Is Coonawarra’s glorious past impeding the region’s push into a bright future? Coonawarra is a place where many of the names on the bottles have been there for generations. 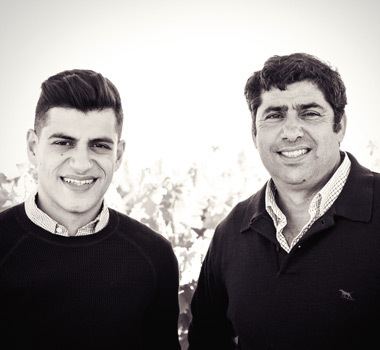 While its biggest players are corporate, Wynns most notably, the majority of producers are family owned, including names like Balnaves and Bowen Estate. Vineyards are tightly held and rarely change hands and its comparatively small size – just 5,500 ha – ensures the region’s prized fruit is all taken up by those domiciled there and virtually nothing is available for winemakers from other regions to have a crack at making Coonawarra wine seen through outsider eyes. There are obviously benefits in a strong sense of community. “There’s certainly a combined sense of purpose,” says Peter Bissell from Balnaves, a transplanted Kiwi and relative newcomer, having arrived in Coonawarra in 1989. 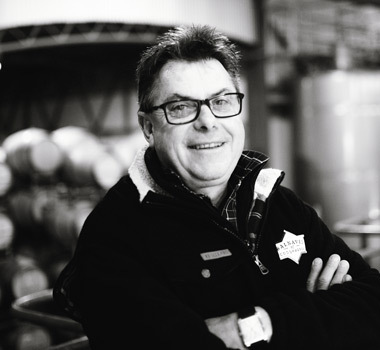 Dan Redman is as Coonawarra as they come, having joined the family business exactly a hundred years after his great-grandfather made his first wine from grapes grown in the famed terra rossa soil. It’s been his nursery, his playground, his backyard, his home. But Redman is not totally blinkered. “It’s probably fair to say that some of the ideas and thinking from the wider wine world might take a bit longer to get here than some other places,” he admits. That’s pretty understandable in a way. You can’t talk about Coonawarra without considering its physical isolation. It’s halfway between Adelaide and Melbourne, but not on the direct route to either. New blood flows through Coonawarra the way it does through a statue. Kate Goodman is uniquely placed to comment on the region’s uniquely singular focus. 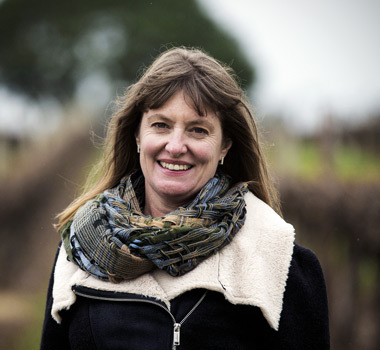 She makes wine under her own label in the Yarra Valley and was appointed consultant winemaker at Coonawarra’s Penley Estate a couple of years ago. 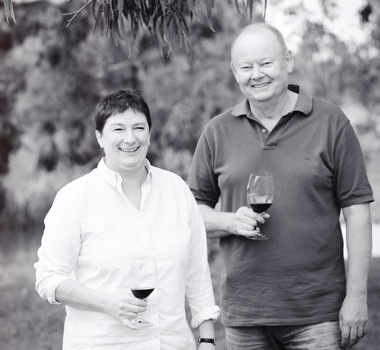 “The Yarra is vast with a huge diversity of sites, while Coonawarra is a small area with a tight focus on carefully defined vineyards,” she says. Goodman relishes the opportunities Coonawarra presents, and has quickly learned what makes the place special. “Dear God, the fruit this place can produce is just bloody sensational,” she says. It would be wrong to see Coonawarra as a wine region trapped in amber. There has been significant change over the last decade, but those changes have been subtle and have taken place within the well-established framework of the classic Coonawarra style. The minimal pruning regimes that dominated the region in the 1980s have given way to practices more conducive to vine health and various flirtations with both over and under ripeness have given way to a more comfortable middle ground. A wider clonal mix is now present in the region’s vineyards, offering new angles from which to view the Coonawarra Cabernet picture we think we know so well. Coonawarra has so far been immune from invasion by hipsters who harvest while howling at the moon, so remains untouched by the outer extremes of winemaking methodology, but that doesn’t mean the place is all ‘set and forget’ when it comes to winemaking approach. But it’s all about refinement rather than re-invention. Concrete fermenters are back in vogue, larger format oak and softer fruit handling are helping shape red wines that are more medium-bodied and supple, yet still retain the region’s famed capacity for ageing. Nick Zema explains it best. “We’re always looking to improve, but we never forget what this place has always done best,” he says. So where does the famed terra rossa fit in the Australian landscape? The status Coonawarra once had as arguably Australia’s finest red wine region has slipped – more through the competition catching up than Coonawarra going backwards – but the core of what has made this place great remains and, if anything, the future looks brighter now than it has for a long time. Coonawarra’s biggest challenge is making the market fall in love with Cabernet again, and with the ongoing refinement of the style – small, considered steps rather than radical reinvention – the region’s winemakers are set to take that challenge on. Once that’s been done, the story of the region’s outstanding Shiraz, hugely underrated Chardonnay, and affinity with other members of the Bordeaux brotherhood like Cabernet Franc can be told, too. It will always be a place of traditions and tightly woven community ties and may that always be the case. In a world that flutters on the fickle winds of fashion, some certainty, classicism and Cabernet Sauvignon can prove to be welcome respite. McLaren Vale is one of the most geologically diverse wine regions in the world with unique interactions between geology, soils, elevation, slope, aspect, rainfall, distance from the coast and macro-climatic differences all contributing factors. With 3000 hectares of Shiraz vines, the milder nights and afternoon sea breezes create wines full of chocolatey richness with black fruit, violet, pepper and dark chocolate flavours. While its hero varietal is Shiraz, McLaren Vale’s amazing landscape of geology makes it a truly special place to create a diverse range of wines. Local wineries like d’Arenberg , Primo Estate , Stephen Pannell, Richard Hamilton and Serafino are growing alternative varieties like Tempranillo, Sangiovese, Touriga, Mataro and Montepulciano alongside classic varietals of Shiraz, Cabernet and Grenache . Clare Valley Riesling is the hero in Clare Valley , making delicious wines with great depth and intensity, which can be enjoyed in the freshness of their youth or cellared with confidence for many years, taking on greater complexities while retaining their vibrant line of acidity. Elevation is one of the factors that makes Clare such a prime region for grape growing and particularly for Riesling and Shiraz. Although not technically considered a ‘cool-climate’ area, most of the vineyards are planted at between 400 and 500 metres above sea level, meaning cool to cold nights during the growing season. Given its distance from the ocean, the region is also quite continental, so warm to hot during the day and quite dry while the vines are ripening their fruit. This diurnal temperature range makes for grapes with robust flavours and spicy acid freshness. Although Clare Valley is more famously known for its Riesling, it’s the same climatic conditions that help to produce its unique style of red wine with the three top varieties being Shiraz, Cabernet and Grenache. Clare Valley reds present a delicious contradiction. On one hand they're big and bold, yet on the other, underlying acidity creates beautiful elegance. Coonawarra There’s no doubt that Coonawarra is home to Australia’s classic Cabernet Sauvignon. With its warm, dry summer days, cool to cold nights and terra rossa soil, the Coonawarra climate is similar to France's Bordeaux, so naturally, it's perfect for Cabernet! Measuring just 12km long and 2km wide, Coonawarra’s famed terra rossa strip is some of Australia’s best grape-growing land. While the vines have to struggle to flourish, they produce small berries with naturally high skin to juice ratio, mind-blowing colour and flavour intensity, and wonderful tannin structure. When it comes to Cabernet, it creates unique expressions featuring cassis and blackberry characters with spice and minerally complexity. Along with Cabernet, the region also produces award-winning Riesling from wineries like Patrick of Coonawarra and Leconfield. Their Merlot is a must try along with the Di Giorgio Family Wines Sparkling Pinot Noir and Botrytis Semillon. Eden Valley The Eden Valley is an amazing region, capable of producing perfect cool climate wines from Chardonnay to Zinfandel, but it is more often recognised for Shiraz and Riesling. Bordering the Barossa Valley, the Eden Valley’s altitude, cooler temperatures and cool nights produce wines with elegance and good acid structure. For most wine lovers, Eden Valley is famous for dry, crisp Riesling and elegant Shiraz. But there are plenty of producers who are seeing success with other varietals. 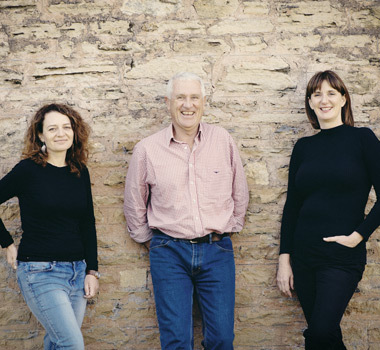 Yalumba has almost single-handedly made Viognier a household name, while also having great success with Chardonnay and seeing a future for Roussanne and Tempranillo. 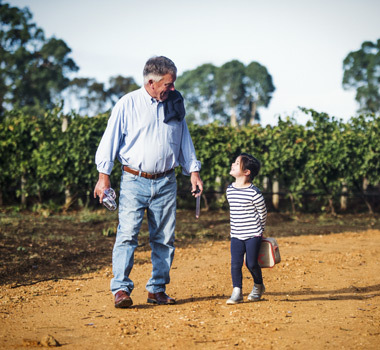 Thorn-Clarke are turning plenty of heads with their Pinot Gris while Henschke produce some stunning Cabernet when “the conditions are warm enough” as well as Nebbiolo and Semillon. Irvine Wines, who have long championed Merlot, also have substantial plantings of Shiraz, Pinot Gris, Cabernet Franc, Cabernet Sauvignon, Chardonnay, Riesling and Zinfandel spread across six vineyard sites. Try some of South Australia’s stellar wines for yourself today!